Books By Joyce Kostakis | Joyce Kostakis feeling inspired and brave enough to write. I have two published books available on Amazon. Walk-In Investigations: Streaming Sarah by Joyce Kostakis is the first in a planned series. It is a tense, gripping, genre-splicing Psychic Detective mystery; it’s a must for fans of intelligent crime dramas. Homicide Detective Katie Hanson prided herself on being an advocate for the dead. She had no idea dying would take that to an entirely new level. 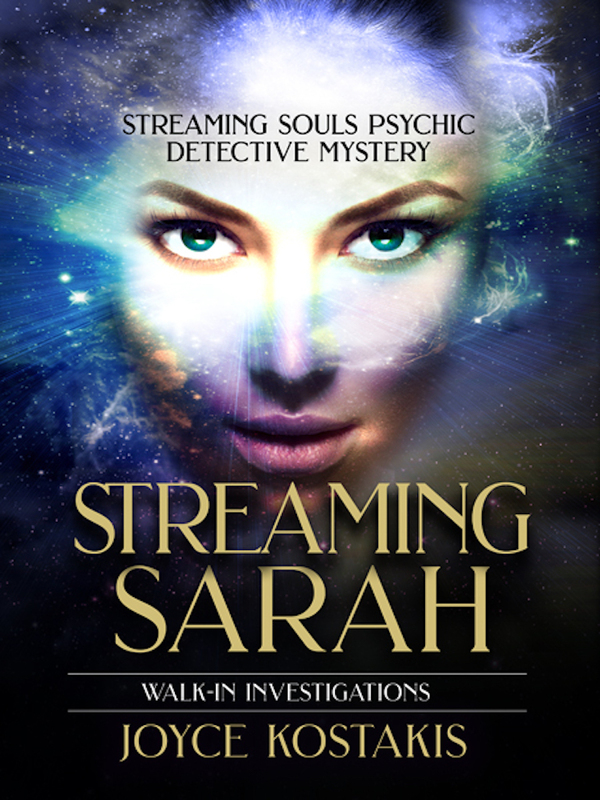 A near death experience has added a new skill to her crime-solving abilities… she can stream the dead. It is more than just channeling murder victim Sarah Alexander’s account of her horrific murder and the murder of her two children, much more. Katie learns to stream Sarah’s consciousness, her memories, her very soul. At first, Katie thought dying was just the break she needed in closing out her cold case. As the investigation unfolds, her excitement turns to frustration. Katie quickly realizes she is dead wrong. A spirit’s memory is just as flawed as the living. Katie’s gut instinct is to believe Sarah, but the evidence doesn’t support the testimony. In fact, it made matters worse. Now she has two suspects. Will Sarah help Katie bring the killer to justice, or will they drag in an innocent man? Dog inspired lessons is a compilation of heart-warming lessons and photos of Max and Cooper that illustrate dogs are more than just pets; they are more than just companions, they can be our teachers.